Natural disasters destroy thousands of homes and millions of acres of land each year. The 2011 Bastrop Fire devastated the community and caused over $271 million in damage. Individuals do what they can to protect their investments and homes, often purchasing insurance to help lessen the blow of these types of losses. All too often, however, insurance companies only goal is short change the insured and deny the claim or offer to resolve the claim at well below the appropriate value. If your insurance company is wrongfully denying your claim, you need an insurance claim lawyer. 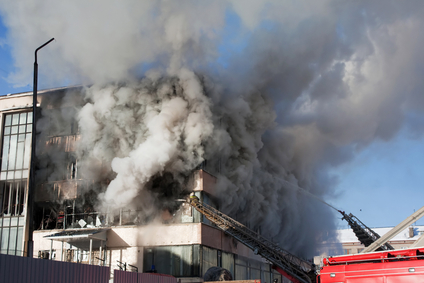 If you have been a victim of a fire, we will fight aggressively on your behalf to get you all the money you deserve. Insurance litigation is the largest practice area for The Law Office of Mynor E. Rodriguez P.C. During the past several years, we have helped thousands of people whose homes, businesses and valuables were destroyed or severely damaged by events completely beyond their control. We are trained in this area and know how to obtain the best possible result. All insurance claims are subject to crucial filing deadlines and critical steps you must take early in the claims process. Contact us early to protect your legal rights and ensure your claim has the best chance of receiving the greatest amount of money. Insurance companies know and take advantage of the fact that most of their customers do not have the time, energy, or expertise to take them on. The attorneys of The Law Office of Mynor E. Rodriguez P.C. have years of experience taking on insurance companies. Let us head up your team to ensure that all damages are properly calculated, submitted and pursued. We can help. Contact us today.